Managing large amounts of data is a problem all organisations will have to tackle before GDPR goes into effect. Digital forensics is already an integral part of nearly every investigation. Often, police officers analyse up to 20 devices in a single caseload. The types of devices include everything from smartphones, tablets, and wearable tech devices to smart TVs, computers, laptops and servers, as well as voice-controlled applications. On top of that, police officers are also analysing social media and online forums to understand and track terror threats and criminal behaviour. This is key to how effective policing operates in the digital age. With all this data available to them, police forces large and small have more opportunities than ever to carry out “predictive policing” initiatives, where a forensic analysis of huge and varied data sets will enable them to highlight patterns of offences and offenders. Police forces, as with other industries, need to be able to break down these silos and easily visualise all data relevant to applicable cases so they can take action on it. They also need to be able to store all of that data in a highly intelligent manner so that they can access it on demand and meet regulatory requirements, such as the forthcoming General Data Protection Regulation (GDPR), all while managing their IT costs. Visibility into data including what information is stored, how it is used, who owns and accesses it, and whether it is complies with data governance regulations, will allow police forces to implement a more holistic approach to managing data. This approach must include the ability to automatically classify volumes of data, scanning and tagging it in a granular, intelligent manner to ensure that they can quickly discover and analyse it for relevant criminal investigations. 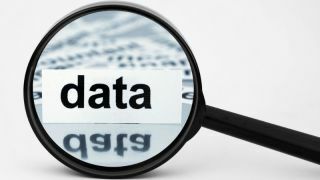 An automated data classification approach will enable police officers to quickly access and analyse huge amounts of data to aid criminal investigations or identify insights, as well as to respond to Freedom of Information (FOI) requests in an effective and timely manner. According to Veritas research, more than half (56 percent) of global businesses operate with a cloud-first mentality to create agility, scale on demand, and to avoid costly long-term investments in infrastructure, especially key for police forces battling tighter budgets. With increased regulatory demands, such as GDPR, being placed on all industries, organisations are focused on driving positive culture change within their businesses to ensure employees are aware of their individual responsibility for maintaining regulatory compliance. Research found that businesses are deploying new processes and policies including training, rewards and updated contracts in support of GDPR compliance. As a result, employees will understand the role they play in protecting their organisation’s data. And when it comes to the proper handling of personal data, police forces are no exception. Published in January 2017, the police effectiveness, efficiency and legitimacy (PEEL) report reviewed issues around the misuse of personal data within police forces, and found more than a third (37 percent) of forces ‘required improvement’. A FOI request revealed that there were 603 investigations into data misuse in 2016, and 176 in the first 100 days of 2017 alone. Instilling a culture of compliance in police forces will help each member of staff understand the importance of managing highly sensitive data with caution. A cultural shift in behaviour towards protecting and managing critical data assets coupled with the use of rigorous data management tool across multi-cloud environments, will put our police forces in an even better position to derive intelligence from information. These insights are not only key to helping these brave men and women “crack the case” but can also be vital in preventing crimes moving forward.